Plans to evacuate the Gulf are BEGINING TO FLY AROUND THE NET. Benzene, incredible amounts of Benzene are being released into the atmosphere and is a clear and present danger not only for the old and people with respiratory problems but the general Gulf population as a whole. This is much more serious than they are letting on, especially as one of the options here is to burn the escaping oil! Plans to evacuate the Tampa Bay area are expected to be announced in the coming days as FEMA prepares for what is now being called the worst oil disaster in the history of the world. Evacuate Florida!! Good God in Heaven!!! What have these monsters done to us!! Was tuning my sat dish and picked up 'The micro effect radio show' and there is a scientist on there who said they have backup plans to evacuate Florida and eventually the East coast now that the oil is in the loop currents. The slick is releasing huge amounts of Benzene. Benzene will flat out kill ya!! Don't go down there, stay away!!!! Benzene is a clear, colorless and highly flammable aromatic liquid that evaporates quickly into the air, and can dissolve in water. It is formed from both natural processes and human activities; natural sources of benzene include volcanoes and forest fires. Benzene is present in crude oil, gasoline and cigarette smoke. It is industrially used as a solvent in paints and other chemicals and products such as dyes, detergents, nylon, plastics, drugs and pesticides. Benzene is widely used in the United States; it ranks in the top twenty chemicals for production volume and makes up about one percent of every gallon of gasoline. Are there health hazards to benzene exposure, i.e. can benzene cause cancer? The International Agency for Research on Cancer (IARC) has determined that benzene is a human carcinogen, and can cause various forms of cancer from prolonged exposure. According to the IARC, benzene is often considered "the mother of all carcinogens," as a large number of carcinogens have structures that include benzene rings. Occupational studies of workers exposed to high levels of benzene show association with leukemia cancer; including acute myelogenous leukemia, acute lymphocytic leukemia, and chronic myelogenous leukemia. Benzene-related leukemias have been reported to develop in as short as nine months, and can remain dormant for as long as 25 years after initial exposure. Even a small amount of benzene exposure can cause temporary nervous system disorders, immune system depression and anemia. Short term affects include skin, eye, and respiratory tract irritation, headache, stomach irritation, drowsiness and dizziness. High levels of exposure can result in a rapid heart rate, excessive bleeding, tremors, vomiting, unconsciousness and death. Benzene can cause harmful effects on bone marrow, and can cause a decrease in red blood cells leading to myelofibrosis and myelodysplastic syndrome. How can I be exposed to benzene? Who is most likely to be at risk? Undoubtedly, the greatest risk for high level exposure to benzene is in the workplace. Occupational exposure to benzene is likely to occur in the rubber industry, oil refineries, chemical plants, and the shoe manufacturing industry, as well as in gasoline storage, shipment, and retail stations. However, most individuals are exposed to benzene through tobacco smoke, automobile exhaust and other environmental sources such as gasoline filling stations, industrial emissions, and food products that contain benzene naturally. Indoor exposure can result from glues, paints, furniture wax, adhesives and detergents. In addition, certain industries may release benzene into the surrounding air. These include ethyl benzene and styrene-production facilities, petroleum refineries, chemical manufacturing plants, and recovery plants for coke oven by-products. Leakage from underground storage tanks or from hazardous waste sites containing benzene can also result in the contamination of well water. Is benzene regulated by the U.S. government? Yes. Because of the dangerous health effects benzene exposure is known to cause, the U.S. Environmental Protection Agency now regulates benzene in the air and water, as well as emissions by industry. The EPA has passed laws to limit the use and release of benzene to keep levels as low as possible. Regulations set by the Occupational Safety & Health Administration, in association with the EPA, limit workplace exposure to a maximum of one part benzene per million parts air (ppm), averaged over an eight-hour workday. Further, congress passed the Safe Drinking Water Act in 1974 requiring the EPA to determine safe levels of chemicals in drinking water. Subsequently, benzene's level was set to zero. Do I have legal rights if I have been occupationally exposed to benzene? Yes. Despite being banned as a solvent in the U.S. for over twenty years, and the decrease of benzene in other manufactured products, workers continue to be exposed to direct and indirect sources of the chemical. The first thing to do if you suspect you've been exposed to benzene is to report the exposure to your employer, and seek immediate medical assistance. If you believe you have been harmed by benzene exposure, you can contact an attorney to learn of your rights, and to file a legal claim for injuries sustained. Individuals can file a lawsuit within two years of discovering a benzene-related illness, regardless of the last time of exposure. Compensation can cover factors such as loss of income, medical costs, pain and suffering, and in the case of Wrongful Death lawsuits, loss of life. A qualified benzene attorney can provide the necessary tools and support to put together a strong case for a benzene-related illness. To find a skilled attorney who specializes in benzene-related claims, please search our directory. 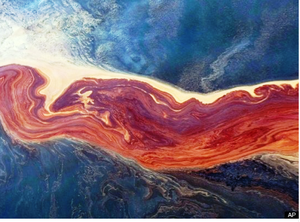 Oil spill is an epic disaster of Biblical Proportions could kill Billions! Nero fiddle while Rome burned. The scope and danger were known from hour one. the destructive force of this spill. b. Another transfer of property without recourse to the elite? Yes the mind wanders, but the past still haunts the brain.